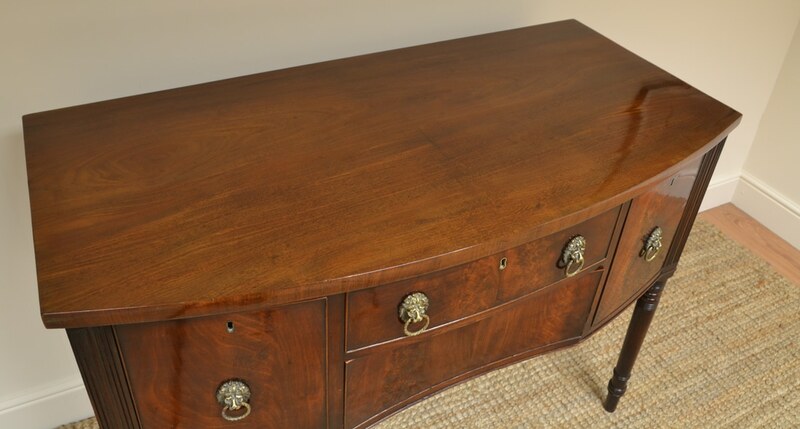 This Fine Quality Bow Fronted Regency Mahogany Antique Sideboard dates from ca. 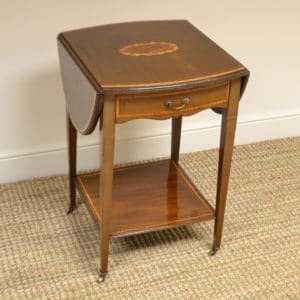 1820 and is of nice smaller proportions. 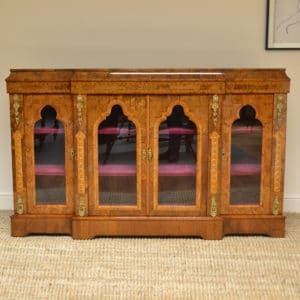 It has a beautifully figured top with lots of charm and character above three drawers and a cupboard door all with decorative lion head handles and key with working locks. 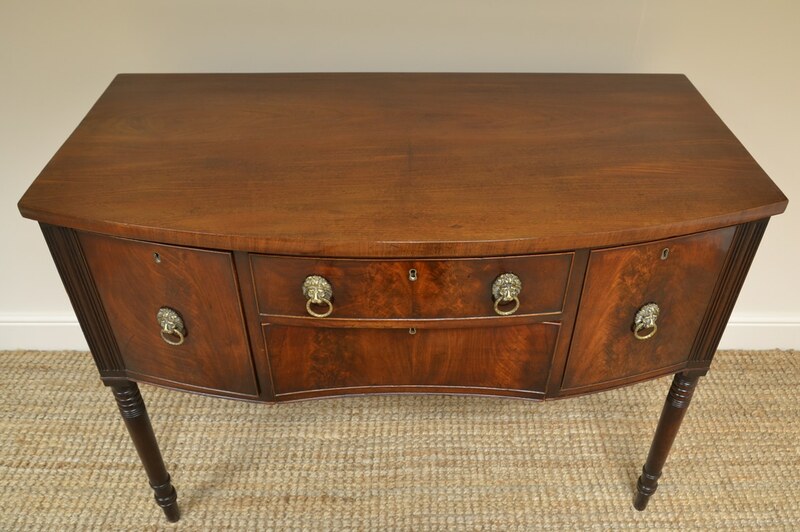 This Fine Quality Bow Fronted Regency Mahogany Antique Sideboard dates from ca. 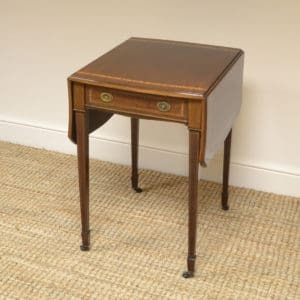 1820 and is of nice smaller proportions. 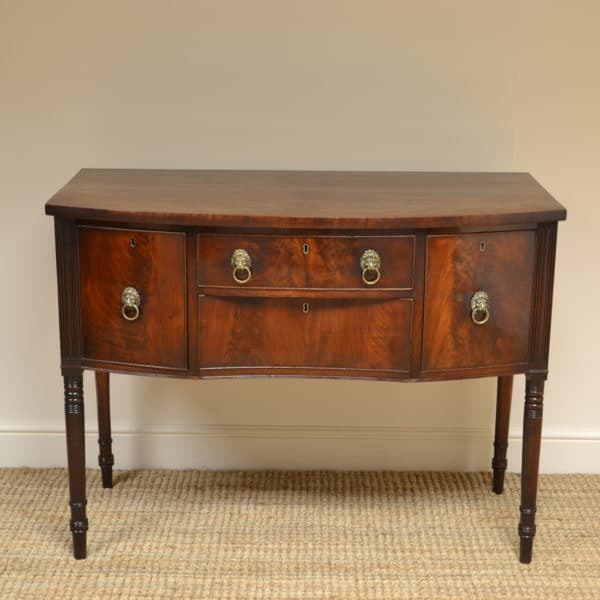 It has a beautifully figured top above three drawers and a cupboard door all with decorative lion head handles and key with working locks. 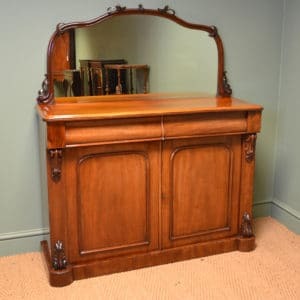 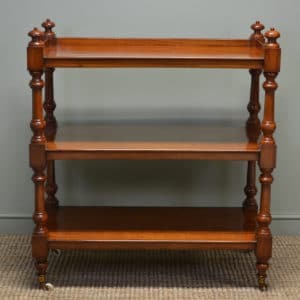 It stands on four beautifully turned legs and has aged to a rich Mahogany shade with a striking grain, good patina, is in very good condition and has been beautifully cleaned using a traditional form of wax finishing.